The telling of every country’s national story is unique, and there are conflicts in that telling. Who gets to speak? Who does not? What alternative stories are there to be told? And how did it all turn out this way? Historical writing is never without purpose. As early as the 18th century, historical accounts of New France were being produced that promoted the role of the Catholic Church and the seigneurs (the major landowners) as the custodians of the Canadien culture. These accounts were intended to buttress the position of the Church and seigneurs in the years to come as the authentic voice of Canadien ambitions. In the mid- and late-19th century, nationalist histories covering the whole of the Canadian timeline began to appear. They told the tale of the new nation, the Dominion of Canada, as something that embodied a recognizable vision of the modern state and thus provided historical legitimacy. Titles like Colony to Nation (1946) tell the tale: Canada had been a dependant (= a child) and now had achieved nation status (= adulthood). This metaphor of maturation is commonly used in historical writing on new or newish societies. While doing so might appear benign, think about what it implies. Its purpose is to suggest that past societies were less evolved and that the newer one is better. Ask yourself: Is that an argument that bears serious scrutiny? It’s certainly a good example of how history gets used to support a particular position. What is history? The answer may seem obvious, but it can be complicated. Without having some sense of what is implied by history — and historical writing (historiography) — you’ll miss many of the key issues in the study of the past. It’s something like watching your first foreign film. You know there’s more going on than meets the eye and that the experience would be better if you just knew what it was. Researching history. How historians do their research — historical method — is different from history (that is, the account that you read). Historians find their bricks and mortar somewhere, and they need to organize them in ways that will stand up over time, although history is also often revised as new evidence emerges or research methodology evolves. Not having a sense of this aspect of historical work is akin to studying sculpture without having a clue about how stone is carved or steel is forged. Making histories. Historians use a great many different kinds of sources to assemble information on the past. Evidence comes in many forms. The current state of historical writing in Canada. The field is rife with debates and disagreements, some of which can look like bench-clearing brawls. In asking what history is, you must also ask, what is historiography? There is a subfield of history, one in which all historians have to have some expertise, that deals with the history of history. Historical writing — and the study of historical writing — is correctly called “historiography,” which encompasses both the doing (the writing of history) and the reflecting on (the study of history). In the Western tradition, Herodotus (ca. 484-425 BCE) is considered as the Father of History, but the paternity of historical writing is not clear-cut, since storytelling about the past is a very old business. Historical writing in China probably began about 500 years before Herodotus was born, and everywhere human societies have appeared, there have been sagas and chronicles of some kind. Some of these were done with more literary licence than others. Brian Thom points out that the oral tradition of the Hul’qumi’num (of the Coast Salish nations) notes a difference between syuth (true histories) and sxwi’em’ (fables and moral tales). This distinction is made by many cultures and is important to keep in mind: stories from and about the past take different forms and they do so to serve different purposes. Written and oral histories alike adhere to two basic rules: reliability and verifiability. For the historian whose goal is to deliver as truthful a tale as possible, these rules are the gold standard for evidence. 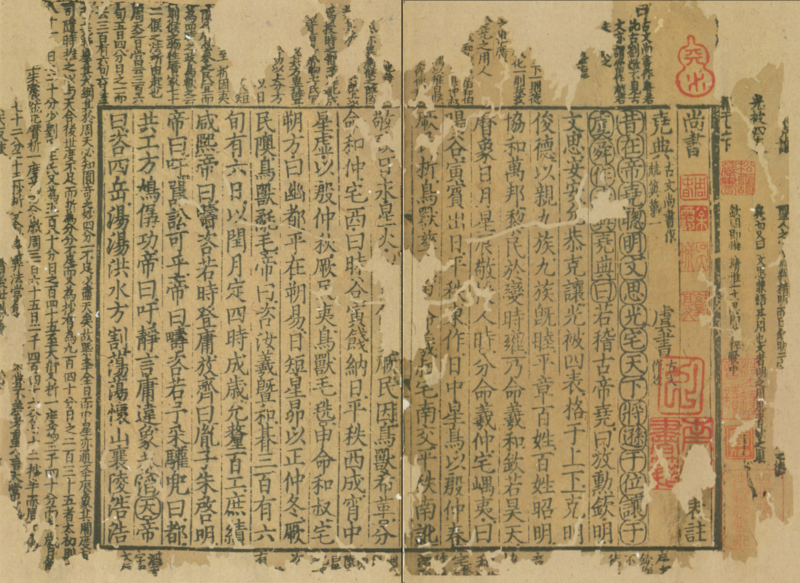 Figure 1.1 A fragment of the Book of Documents attributed to Confucius (551-479 BCE). If the source is trustworthy, then it’s reliable. 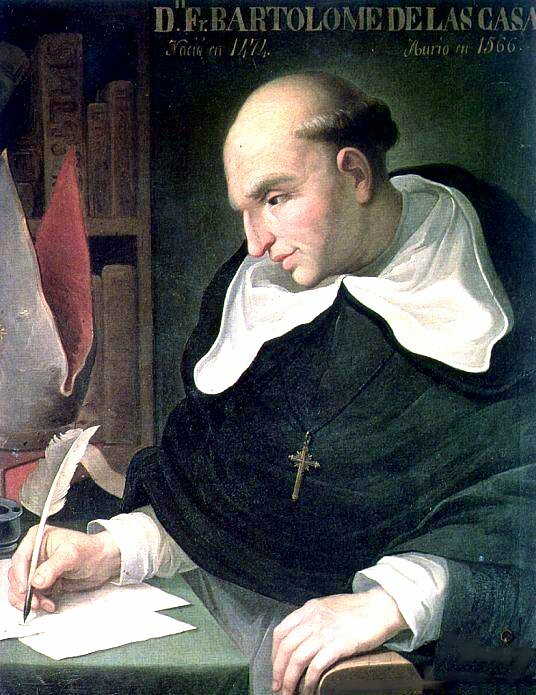 Take the example of Bartolomé de las Casas, who was among the first Europeans in the Caribbean and who spent nearly half a century working as a priest, missionary, plantation owner, bishop, and colonial administrator in Hispaniola, Venezuela, and Mexico. When he wrote of the vicious Spanish conquest of Haiti — “My eyes have seen these acts so foreign to human nature, and now I tremble as I write, not believing them myself, afraid that perhaps I was dreaming. But truly this sort of thing has happened all over the Indies, and more cruelly too sometimes, and I am quite sure that I have not forgotten.” — we are inclined to believe him, not least because he wasn’t going to win himself any friends by speaking out. Figure 1.2 Bartolomé de las Casas. If historians can prove the claims made by their source, that’s verifiability. The best biographies go far beyond the personal diaries and letters written by their subject and look to other sources to confirm that the subject did what he or she claimed to have done. Another example, this one drawn from population history, shows some of the challenges of official documents. Bruce Curtis examined the early days of the census of Canada and found that Canada West (Ontario) and Canada East (Quebec) counted people differently. 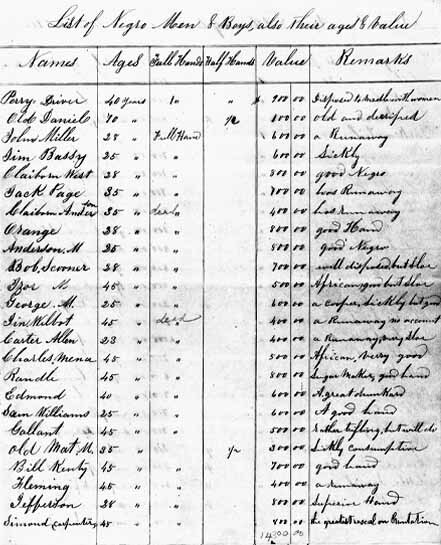 In the former, people were counted based on where they actually were on census day; in the latter, they were counted based on where they were supposed to be. This means that Canada East’s census takers included locals who were off working in factories in other jurisdictions, perhaps in New England. But in Canada West, anyone who was engaged in migrant work — wandering the countryside and towns looking for a job — or who was a recent arrival in a new town would most likely be overlooked. Without this bit of knowledge in hand, we might be forgiven for assuming that an official source like the census would be 100% reliable; however, thanks to local tax records, church registers, and other documents, we are in a position to verify the official numbers. Serious historians seek to be both reliable and verifiable, which is why you’ll typically find a torrent of references supporting a scholarly study. The point is to demonstrate that the writer can be trusted because he or she has done the necessary digging and cross-checking. As well, studies that are well supported by references say to the reader, “Feel free to check it yourself and, by all means, use the information I’ve found to further your own studies.” This reflects another tendency in historical research: the desire to share discoveries. Holding back sources raises both suspicion and eyebrows in readers. History just never gets old. Or does it? If historians use only verifiable and reliable sources, surely at some point we should have all the history we’re ever going to need. But a paradox exists about history: it has a stale-date. Our understanding of the past is constantly subject to change. This makes history open to revision, and its practitioners (that is, all serious historians) are sometimes pejoratively called revisionists. There do exist some landmark studies that stand the test of time, but more often than not conclusions reached by historians a generation or more ago are subject to a second (and third and fourth) look. Why is it that history is regularly “freshened up”? Sometimes — although rarely — lost documents are found that shed new light on a historical event. For example, in the article “Reluctant Warriors: British North Americans and the War of 1812,” author E. Jane Errington reveals previously unexamined evidence from the newspapers of the time that Upper Canadians were not the fearless protectors of the homeland that they had appeared to be in earlier accounts and in popular mythology. More usual is for new evidence to emerge through discoveries made in a different field — say, medicine — that prove to be relevant to historical studies. It is unlikely that Mary Ellen Kelm could have written Colonizing Bodies: Aboriginal Health and Healing in British Columbia, 1900-50 without the knowledge that medical research provided toward the end of the 20th century. Cross-fertilization of this kind happens all the time, transforming definitive histories into conditional histories. 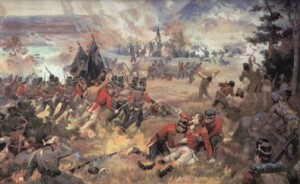 Figure 1.3 In this 1896 painting, General Isaac Brock encourages the volunteer Upper Canadian troops in the War of 1812: “Push on, brave York volunteers.” Recent research suggests that Upper Canadian enthusiasm for the war was, in fact, muted. Ideologies (i.e., ideas and values that guide our understanding of society and economy and may also drive political and personal agendas) also affect our perception of history. For example, Ian McKay of Queen’s University in Kingston, Ontario, has been the key figure in identifying the importance of liberalism in Canadian history, both as a phenomenon and as a lens through which the past is viewed. (Note that here we are talking about small-l liberalism, as opposed to capital-L Liberalism, which is associated with the Liberal Party of Canada.) Liberalism, as a political ideology, places an emphasis on the individual. Whether in the role of consumer or voter or historical actor, the individual has been promoted as more important to Canadian history and public policy than groups or sub-nations. Think about how this can affect our view of Canadian history. If the history of Canada is about the rise of the individual in a liberal-democratic state (one in which more and more people get the vote and in which rights are extended more and more broadly to individuals), how does that affect collectivities like First Nations? What about the experiences of French Canadians who, at various times in their history, have demonstrated a strong predisposition for being seen as one nation first and as many individuals second? Or how does this ideology of individualism square with the history of “working-class solidarity”? After World War II small-l liberal values combined with a moderate form of left-wing collectivism that sought to enhance the condition of the individual by means of a larger, social welfare state. These ideals of democratic rights and a social safety net were a formative influence on nearly three generations of historians. In your lifetime there has been a growing reaction to state-liberalism from the Right. So-called neo-liberalism seeks a return to the “classical liberalism” of the 18th and early 19th centuries wherein the individual operates in a free market unfettered by government regulation and identity-group rights. The Left continues to provide a critique of liberalism/individualism, and it is more supportive of collective identities while at the same time subscribing to the essentially liberal view that individual choice in a democracy is non-negotiable. Just because these perspectives exist happily together in the mainstream does not mean they are not ideologically loaded. Historians writing from any one of these perspectives will take a different view on the past. Other “isms” have had an effect on historical writing as well. Marxism and Marxist historians draw attention to the economic structures that overlay people’s lives in the past. Environmentalism invites us to look at the history of the fur trade, resource-extraction industries like logging and fishing, and the fabric of cities in ways that recast the environment from something that was acted upon to something that has an impact on human actors. Certainly feminism continues to have an enormous and laudable impact on historical thinking. Theological approaches to the writing of history are much less in vogue now than they once were, but imperialism (which, for centuries, had a strong theological and evangelical component) continues to influence the story of the nation-state in profound and very subtle ways. How scholars see society is one part of this ideological rainbow; how people in the past saw society — ideologically — is another. It’s complicated, but it’s hugely important in the context of how history is presented and written about. Perspectives on what happened in the past may be informed by our concerns in the present, but that’s not the same thing as saying that the past exists for the benefit of the present. The Maritimes historian George Rawlyk once wrote that “all historical writing is basically autobiographical in nature.” That is to say, the history we look for reflects the interests of our time and is constrained by the ways that our culture thinks. A society that is interested in the civil rights of women is more likely to ask questions on that topic than one that is not. By the same token, earlier generations of historians looked to the past for answers to questions that most of us today would not care to pose. The Canadian novelist William Gibson contributes this view: “The past changes. Our version of the past will interest the future to about the extent we’re interested in whatever past the Victorians believed in.” We have concerns and perspectives that are different from past generations and from those that will be nourished by future generations. This does not mean, however, that we have a licence to shop around in the past for vindications of the present. It is in the nature of historical celebrations to claim that it is thanks to historical events that we enjoy the freedoms that we do today, or that without the fur trade, Canada as we know it simply would not exist. This is called the presentist fallacy. What if we view our present dimly due to high unemployment, repressive legislation, massive cuts at the CBC, and environmental disaster constantly on the horizon? Would we then say that these things are the fault of whatever it was that happened 270 years ago or that the fur trade is to blame? Bias can be okay — we can be biased in our search for evidence of adolescent rebelliousness in early Nova Scotia and ignore much else that was going on at that time — but we cannot favour one outcome over another and certainly we cannot favour an outcome in our present. It isn’t enough for a historian to be a bloodhound who sniffs out the rare fact. The historian has to be a capable and versatile analyst. That means that each generation of historians will find a new way of cracking the code of the past. The application of good quantitative historical techniques borrowed from statistical sciences has had a great impact on the telling of history, and has sometimes completely toppled older histories. An example of an evolving approach is presented in Wendy Wickwire’s article “To See Ourselves as the Other’s Other,” which makes the case for using oral histories to examine events that took place centuries ago. More than 20 years before Wickwire’s article appeared, Bruce Trigger made a similar point regarding ethnohistory and the study of the Wendat/Huron First Nation. It is largely thanks to research of this kind that Aboriginal oral traditions have acquired greater and greater respect and credibility in the courtroom over the last two decades. Further, demographic historians, especially in Quebec, have devised new ways of analyzing population information held in censuses, birth and death records, and baptismal and marriage records. The end effect is that history is constantly being rewritten with new discoveries, new information, new perspectives, and new conclusions. It all makes for a dynamic field, despite the reputation that history has in some quarters for being dusty, musty, and dull. 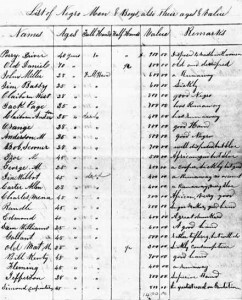 Figure 1.4 A page from the “Book of Negros,” which lists the 3,000 African-Americans who departed from New York as freed loyalists in 1783. Documents like this may provide both qualitative and quantitative evidence to historians. Historical sources of all kinds are subject to the tests of verifiability and reliability. Historical revisions are invited by new evidence and changes in perspectives and methodologies. 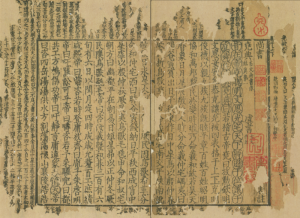 Shujing NCL 1 by White whirlwind is in the public domain. Bartolomedelascasas by Nagypaja is in the public domain. Push on, brave York volunteers by Scorpius59 is in the public domain. 2book0706b by Dr Wilson is in the public domain. 1.2 The Writing of History by John Douglas Belshaw is licensed under a Creative Commons Attribution-NonCommercial-ShareAlike 4.0 International License, except where otherwise noted.